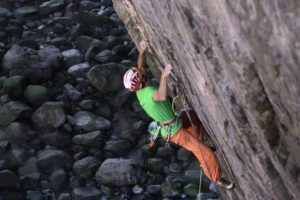 The weather in Patagonia has been exceptionally good this year, which has many climbers heading for difficult routes. But good weather also means more rockfall and poor glacier and snow conditions. Alpine climbing is extremely dangerous and good alpine climbers often progress from easy to moderate to difficult routes. Patagonia has no search and rescue group and severe injuries in the area often result in death. The following was posted by top climber Rolando Garibotti about the current season in Patagonia, which has claimed a number of lives. The last three weeks have been brutal in the Chalten Massif. Three climbers perished on Cerro Fitz Roy, there were two very serious accidents and a number of borderline situations. The seriousness of these peaks and their climate require choosing objectives that are well within our level of skill, and fitting with the conditions. It is not enough to be prepared for the difficulties if all goes according to plan, one needs to have the know-how to face the possible eventualities. Rope teams should carry communication devices, either a VHF radio or a satellite phone. Two of the teams involved in accidents did not have any, and that severely delayed the attempts to rescue them. One of the deaths could have possibly been avoided. It is paramount to learn to read the weather forecast carefully. “Black Friday” (18/1), when three climbers died of exposure on Cerro Fitz Roy, was most definitely not a day to be on that peak. It was lucky that two helicopters happened to be available to help in two of the rescues, but that is usually not the case. Rescues are normally carried out on foot, and they take days. Without the helicopters, two severely injured climbers would have required an extra two and four days to get to the hospital. Rescues can be costly, putting in danger a lot of people and at times have tragic consequences. Jesús Gutiérrez suffered several broken bones trying to help the climbers stranded on Fitz Roy, and in 2014, Pablo Argiz, a helicopter pilot died while trying to rescue an injured climber. For the past 20 years, the Comisión de Auxilio Centro Andino El Chalten has done an incredible job rescuing climbers even from the most far flung places. Those in charge have managed to created an commendable good-samaritan team spirit. Volunteers leave all their affaires behind and put themselves at risk to help others. However, it is up to us not to abuse of this good will. We have been lucky to enjoy complete freedom to practice our activity in the area, but with freedom comes responsibility. Preserving that freedom is on us.